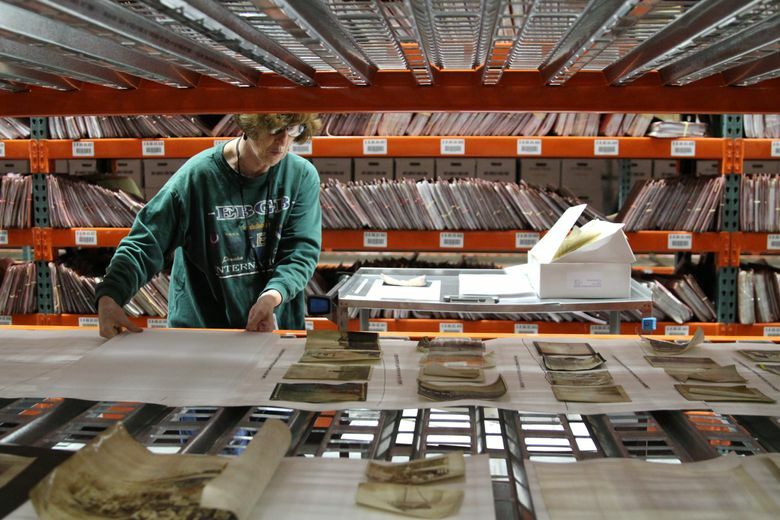 After the devastating June 9 fire at the Aberdeen Museum of History, archivists have spent 787 hours in a high-intensity, low-tech effort to save thousands of soaked and soot-covered prints, negatives, film and even VHS tapes. History matters here. Here is a color photograph simply marked with a stick-on label, “Bessie & Gene.” It could have been taken in the 1950s or ’60s. The label is coming off, as the picture had been soaked, along with thousands of other items, after a devastating fire all but leveled the Aberdeen Museum of History and flooded its storage basement with 4 feet of water. But the image of Bessie & Gene has been saved for posterity. 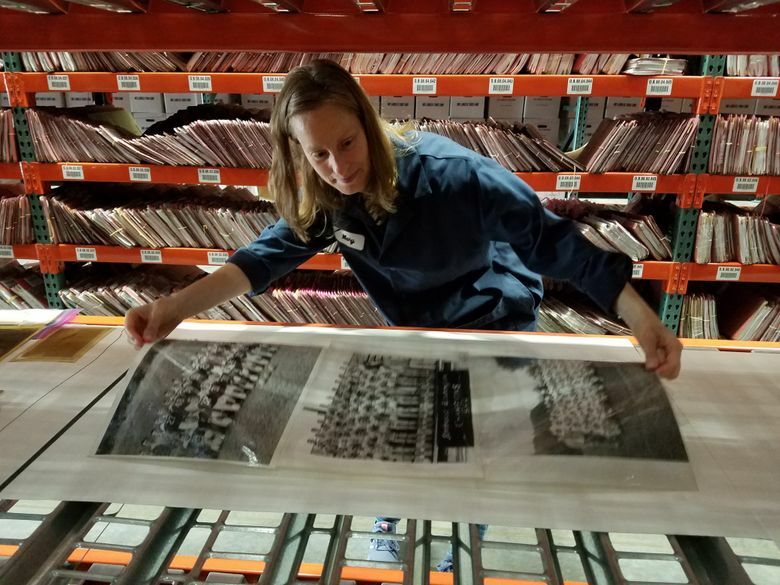 For two weeks after the June 9 fire, some two dozen state archivists and library volunteers racked up 787 hours washing and cleaning thousands upon thousands of waterlogged, soot-marked negatives, photo prints, slides, 8mm films, slides and even old VHS tapes. They’re going to make sure the tapes are completely dried before playing them, says Steve Excell, the head state archivist. “We’re wondering ourselves what’s on those tapes,” he says. “Lots of smaller community museums tend to have a lot of VHS and Sony Beta tapes of oral histories, focused on veterans or pioneer families. 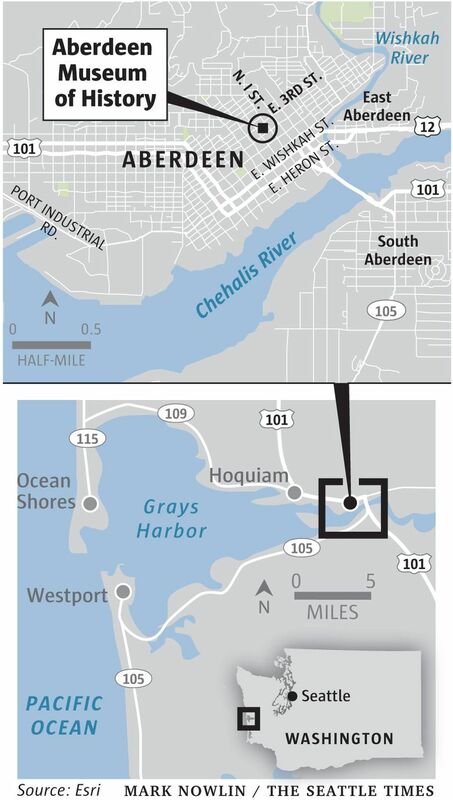 History matters in Aberdeen, a city of 17,000 in Grays Harbor County that still has a 7.2 percent unemployment rate, nearly 2½ times that of King County. Families know families know families. They’re precise, these archivists with Washington State Archives. Those aren’t 787 overtime hours, says Excell. The archivists hauled out 119 office boxes filled with Aberdeen history to a storage building the size of half a football field, with ceilings at least 30 feet high. 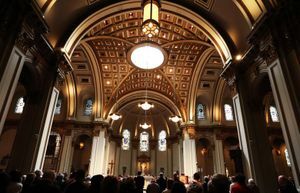 “It reminded of that scene in ‘Raiders of the Lost Ark,’ ” says Excell. That scene is right at the end of the 1981 Steven Spielberg movie, in which the titular Ark of the Covenantis shown being nailed shut and locked in a crate, and wheeled off into a giant government warehouse with stacks of similar crates. Some 20 to 30 boxes with mostly soaked paper documents were also taken by Servpro, a water and fire cleanup company, and frozen to prevent further damage. The materials then are placed in a “sublimation” chamber that evaporates the frozen water without it going through the liquid phase. 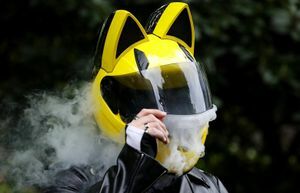 For the archivists, however, there was nothing particularly high-tech about saving the images. You clean one print or negative, there are a thousand more. Then an old-fashioned wetting agent that anybody who once had a darkroom will remember was used. It’s Kodak Photo-Flo, still made by the company, and minimizes water marks. Then the cleaned prints were laid out on paper towels, on long metal shelves, “just like the ones you see at Home Depot,” says Excell. Sometimes the negatives were simply hung from lines with clothespins, and air dried. And there was nothing high-tech about saving the old VHS tapes. The cassettes have a clear window at each side that shows the tape. “We could see brown water rolling around, but couldn’t get the water out. There were security screws on the cassette,” says Excell. So the screws were removed and, inch by inch, the tape was dried and wiped clean, rolled back into the cassette, and the security screws put back. 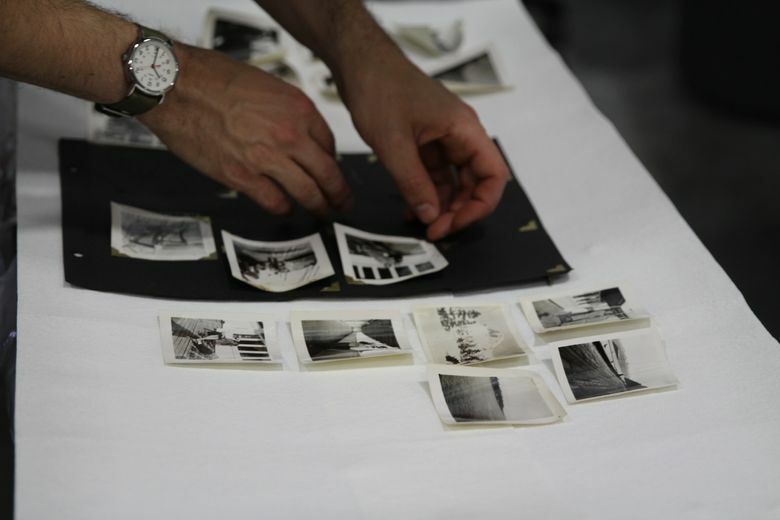 The same basic process took place with the 8mm films that got drenched. “You know how every house used to have a Super 8 camera? I was surprised how many metal cans with the film there were,” says Excell. Those 787 hours of archival labor amounted to Phase I. In Phase II, they will be placed in a plastic tent with a humidifier, a batch or two a day, and then sandwiched between plastic press boards to straighten them out. Mayor Erik Larson has said the museum will be relocated, although how and when hasn’t been decided. At this point, says Dave Morris, the museum’s director, he hasn’t even been able to go into the main floor of the museum, which turned into a pile of blackened remains. Larson says the building and the museum contents were covered by a $300 million insurance policy. “We’re definitely not underinsured,” he says. But estimating the losses by the museum is subjective, Larson added. 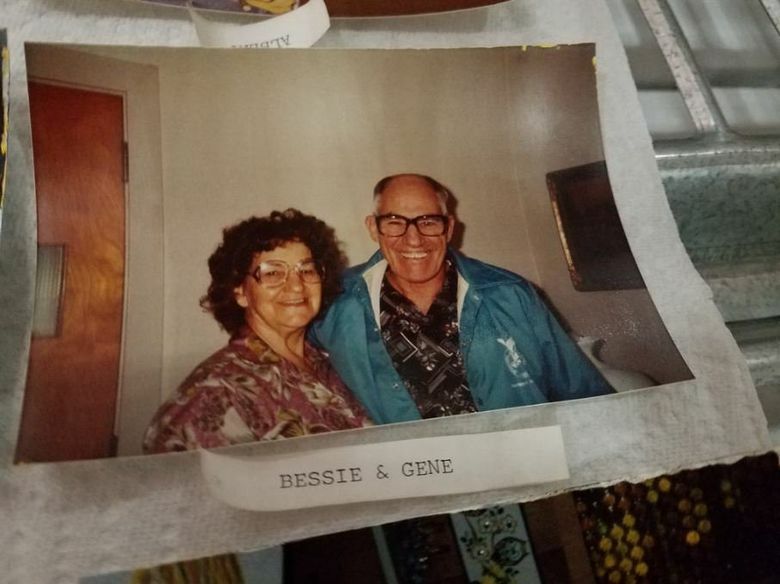 What would be the value of that photo of Bessie & Gene? It’s a photo that mattered in its own way, Excell says. Gene is wearing a bowling jacket, for example.